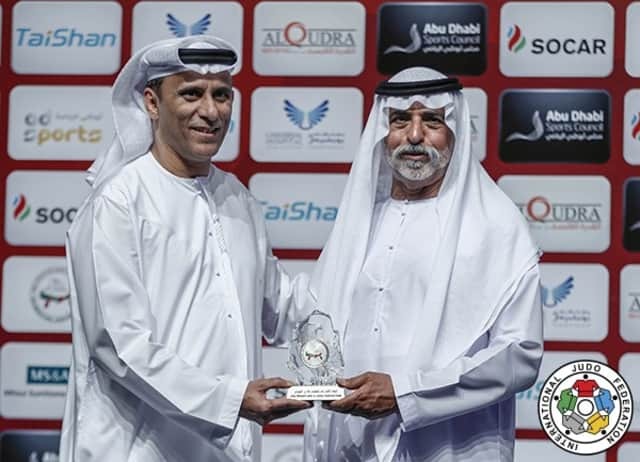 The Abu Dhabi Grand Slam 2017, the penultimate IJF Grand Slam of the season, opened on Thursday with five weight categories disputing a pulsating opening day at the IPIC Arena. The men's -60kg and -66kg categories and the women's -48kg, -52kg and -57kg categories were contested as the participation of Olympic and world champions ensured a lively start to the three-day event. Russia fired out of the blocks on day one as they won two gold medals and two bronze medals to lead the medal table and in front of the watchful eye of team manager Ezio GAMBA. Israel are in second place with one gold and one bronze medal with Mongolia third and Belgium fourth respectively as they won the two remaining gold medals at stake at the IPIC Arena. A special awarding took place during the final block as His Excellency Mohammad Bin Thaloub Al Darei (above - left), President of the United Arab Emirates Judo Federation made a presentation to His Highness Sheikh Nahyan Bin Mubarak Al Nahyan (above - right), Minister of Culture and Knowledge Development of United Arab Emirates. Day two will focus on the middleweights with the men's -73kg and -81kg categories and the women's -63kg and -70kg categories set to be decided in Abu Dhabi. 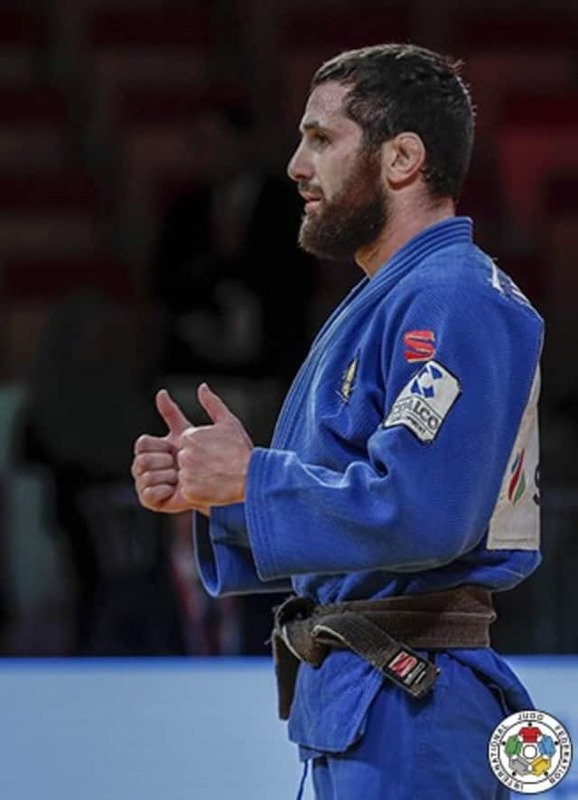 Rio 2016 Olympic champion Fabio BASILE (ITA) will be one of the many stars on show on Friday as the Italian tries out the -73kg category for the first time after a barren spell at -66kg following his astounding success in Brazil last year. #WorldJudoDay 2017 takes place on Saturday 28 October. The theme this year is Courage for the birthday of judo founder Jigoro KANO. All judoka, club's, national federation's and continentual unions are encouraged to send news of their #WorldJudoDay activities to press@ijf.org to be published on the IJF website. Click here to follow the current activites. The #WorldJudoDay logo, posters and special certificates are available on the #WorldJudoDay website to use in your activities. Click here for more. European silver medallist Irina DOLGOVA (RUS) won in Abu Dhabi for the second time as the young Russian showed all the promise and potential that everyone knows she possesses in spades. Rio 2016 Olympian DOLGOVA, 22, repeated her 2015 Grand Slam victory in the U.A.E to clinch her second gold medal on this stage with a nail-biting triumph over four-time Grand Slam medallist Milica NIKOLIC (SRB). DOLGOVA prevailed in golden score when NIKOLIC, who will have to wait to capture her first Grand Slam title, was penalised with a second shido in added time. In the first semi-final Olympic and world bronze medallist Otgontsetseg GALBADRAKH (KAZ) fell to DOLGOVA who threw her Asian opponent with a drop seoi-nage after one minute and 41 seconds of golden score. In the second semi-final Rio 2016 Olympic champion Paula PARETO (ARG) lost to NIKOLIC in golden score. It was all equal after four minutes with a single waza-ari registered by both judoka to send the contest into overtime. PARETO picked up her third shido for dropping and was disqualified which sent NIKOLIC into the final. 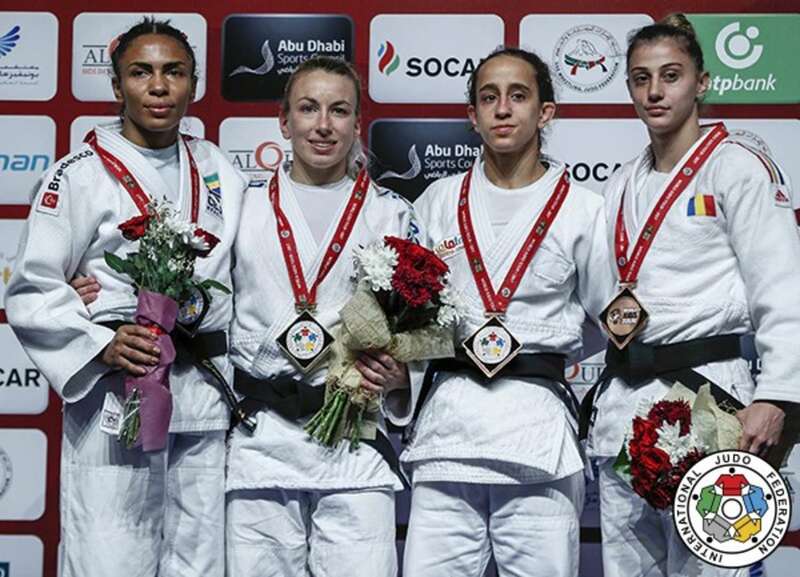 The first bronze medal contest was won by PARETO who defeated Antalya Grand Prix silver medallist Shira RISHONY (ISR) by scoring two waza-ari without reply. The second bronze medal was won by GALBADRAKH who had to much energy for London 2012 Olympic bronze medallist CSERNOVICZKI Eva (HUN) as the Kazakh outworked her opponent to finish with the only two scores of the contest. 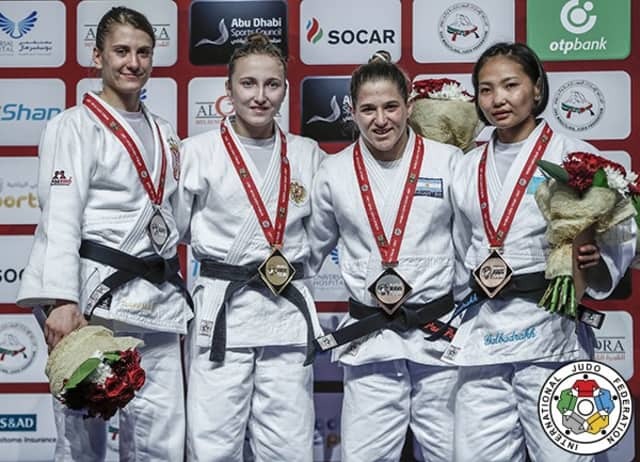 CSERNOVICZKI failed to impose herself in the contest as GALBADRAKH registered two waza-ari to earn a place on the podium. Tashkent Grand Prix bronze medallist Charline VAN SNICK (BEL) accomplished a career first to put her rivals on notice as the long-time -48kg star won her first Grand Slam gold medal. World number three Erika MIRANDA (BRA), one of the most consistent judoka in the category, took bronze at the World Championships in August but was not prepared for VAN SNICK who, having moved up in December 2016, is now establishing herself at -52kg. 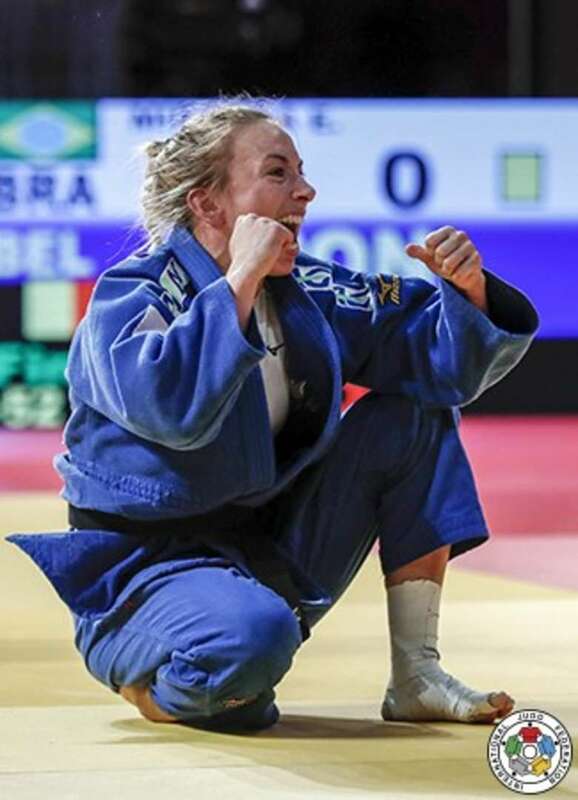 The Belgian won her first IJF gold medal since Dusseldorf 2015 by surprisingly submitting the Brazilian on the ground. In the first semi-final MIRANDA countered Cancun Grand Prix bronze medallist Angelica DELGADO (USA) with a ura-nage for ippon. In the second semi-final VAN SNICK beat Gili COHEN (ISR) by two waza-ari scores in a one-sided contest. The first bronze medal was awarded to COHEN who beat European Championships bronze medallist Joana RAMOS (POR) with an ippon-seoi-nage in golden score. After 57 seconds of added time COHEN usurped her opponent by throwing for a match and medal-winning waza-ari score. The second bronze medal was won by Baku Grand Slam winner and world number nine Alexandra-Larisa FLORIAN (ROU) against DELGADO. 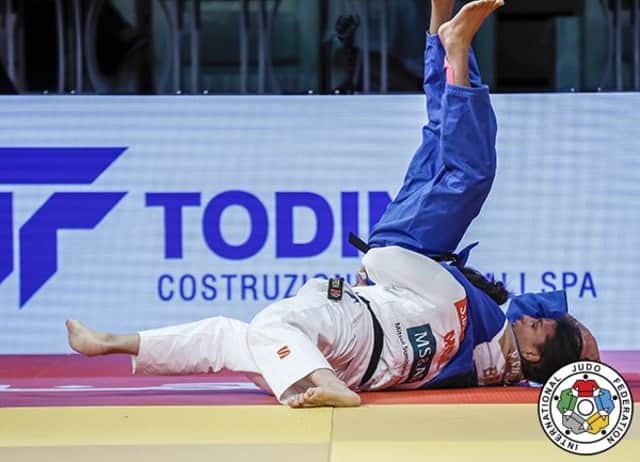 The Romanian put on a sensational display to seal a place on the medal podium by throwing with a sasae-tsurikomi-ashi for a waza-ari and added a second with another ashi-waza movement before wrapping up win by ippon with a uchi-mata. World champion DORJSUREN Sumiya (MGL) defeated Rio 2016 Olympic champion Rafaela SILVA (BRA) in a rematch and reverse of the Olympic final to underline her superiority and control of the category. World number one DORJSUREN found herself in golden score -- like she was when she defeated YOSHIDA Tsukasa (JPN) in the world final -- and threw SILVA with a ippon seoi-nage and the Brazilian was eventually rolled over onto her back for a waza-ari. In a battle of the red backpatch versus the gold backpatch, DORJSUREN extended her head-to-head record over her arch-rival to 5-2. In the first semi-final DORJSUREN dropped under her former Qingdao Grand Prix winner Anastasiia KONKINA (RUS) to throw for a waza-ari score in golden score to decide the contest in favour of the Mongolian. In the second semi-final SILVA defeated Ekaterinburg Grand Slam bronze medallist Jessica KLIMKAIT (CAN) by a waza-ari score to move into the final. The first bronze medal was won by world bronze medallist Nekoda SMYTHE-DAVIS (GBR) as KLIMKAIT infringed on three occasions to receive hansoku-make. SMYTHE-DAVIS has now won three medals in consecutive competitions and is in the best form of her career while world number seven KLIMKAIT is still only 20 years old and will also be a major factor at this weight during the road to Tokyo 2020. 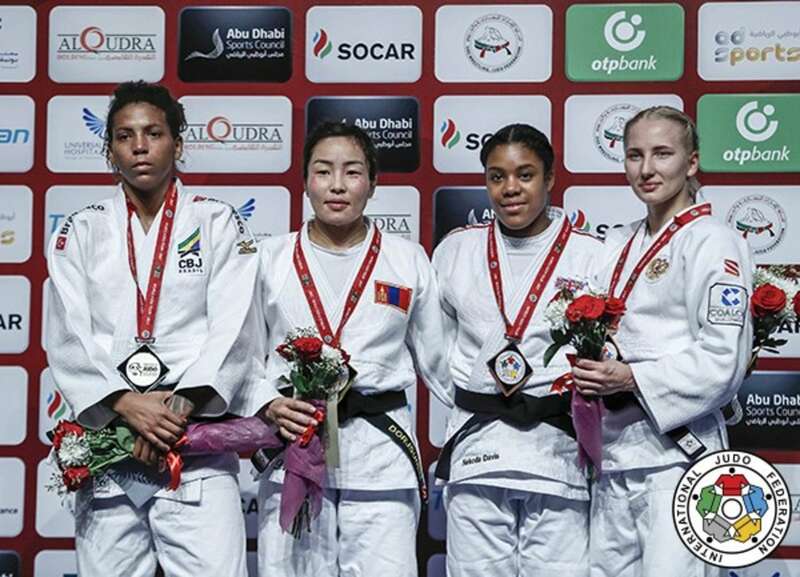 The second bronze medal was won by KONKINA who pipped Bucharest European Open bronze medallist Amelie STOLL (GER) to the podium by a waza-ari which was the only score of the contest. Zagreb Grand Prix silver medallist Robert MSHVIDOBADZE (RUS) won Grand Slam gold for the first time after beating London 2012 Olympic bronze medallist Felipe KITADAI (BRA) in the -60kg final. European champion MSHVIDOBADZE made his Grand Slam debut in 2010 and has travelled to the IJF's showcase events all over the world without reaching top spot. The perseverant Russian was elated to finally end his seven-year wait for a Grand Slam title and can now turn his attention to World Masters and World Championships honours. KITADAI lacked his usual rhythm and was shot-shy when it mattered the most as he received his third shido for passivity to give Russian delegation their second gold medal on the opening day. In the first semi-final world number two Amiran PAPINASHVILI (GEO) was tapped out by KITADAI with a juji-gatame. The Georgian was caught off guard on the ground as his Brazilian opponent returned to his feet and jumped into the juji-gatame to make the unsuspecting PAPINASHVILI submit. In the second semi-final Paris Grand Slam silver medallist Sharafuddin LUTFILLAEV (UZB) lost to MSHVIDOBADZE by a waza-ari in golden score. The first bronze medal was won by LUTFILLAEV who left no doubts as he dismissed Antalya Grand Prix winner Gusman KYRGYZBAYEV (KAZ) by ippon. 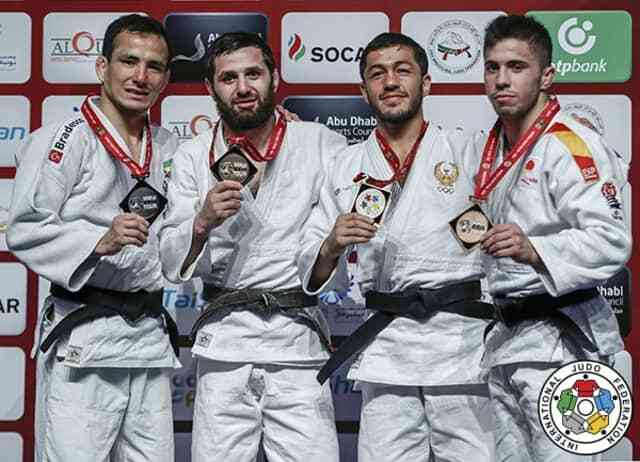 The second bronze medal went to 2016 Abu Dhabi Grand Slam winner Francisco GARRIGOS (ESP) who tapped out PAPINASHVILI on the ground with shime-waza while also applying a tate-shiho-gatame pin and the Georgian had to concede the contest and the medal. World bronze medallist Tal FLICKER (ISR) saved his best performance for his fourth and final contest as he dismissed European bronze medallist Nijat SHIKHALIZADA (AZE) in a battle of -66kg livewires. 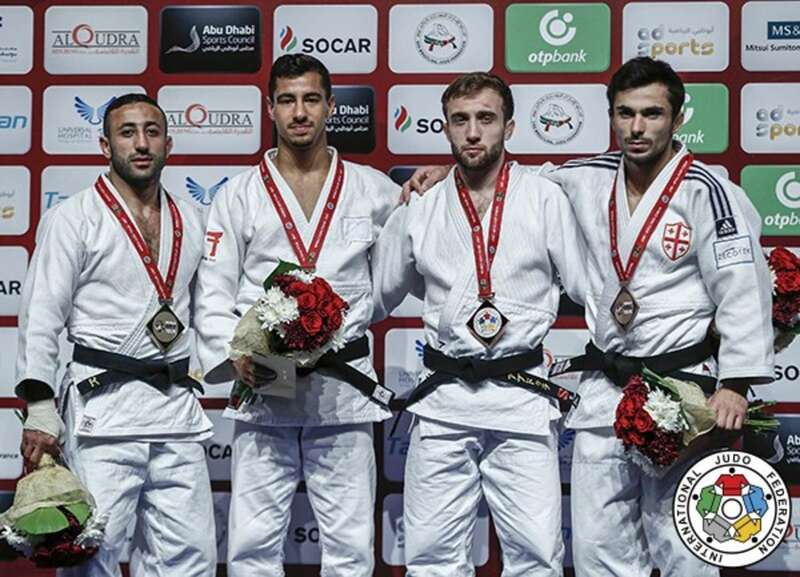 FLICKER had form at the Grand Slam level coming into the competition after winning in Baku and it came as no surprise when the world number two threw his Azeri opponent with a morote-seoi-nage for ippon with 25 seconds left. FLICKER will be expected to make his World Masters debut in December while world number 13 SHIKHALIZADA will also be a contender in St. Petersburg at the final event of the season. In the first semi-final FLICKER defeated Asian Championships silver medallist Yeldos ZHUMAKANOV (KAZ) in golden score when the Kazakh judoka received a second shido. In the second semi-final SHIKHALIZADA came from behind to defeat Ekaterinburg Grand Slam winner Abdula ABDULZHALILOV (RUS). The Russian led by a waza-ari before SHIKHALIZADA levelled and then scored a second waza-ari which saw him through after four minutes. The first bronze medal was won by ABDULZHALILOV who emphatically defeated Antalya Grand Prix bronze medallist DAVAADORJ Tumurkhuleg (MGL) with a thunderous sode-tsurikomi-goshi for ippon. The second bronze medal went to world bronze medallist Vazha MARGVELASHVILI (GEO) after a head dive from ZHUMAKANOV as he tried to avoid giving away a score but in the process endangered himself and broke the rules to receive hansoku-make. Paris Grand Slam bronze medallist MARGVELASHVILI continues to make waves in the -66kg category and the 24-year-old will be invited to the World Masters for the first time in December.